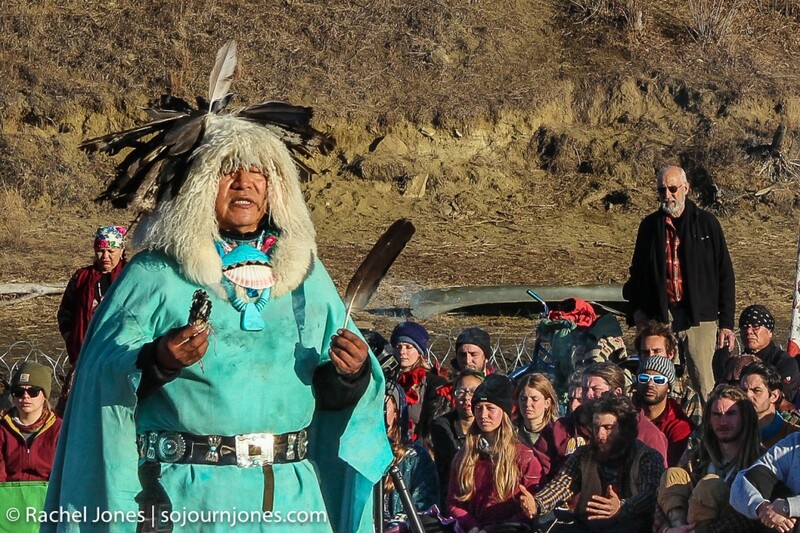 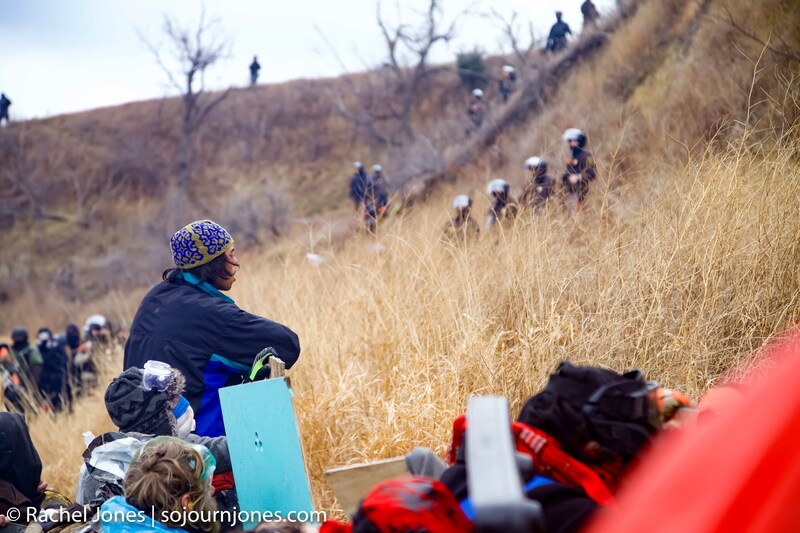 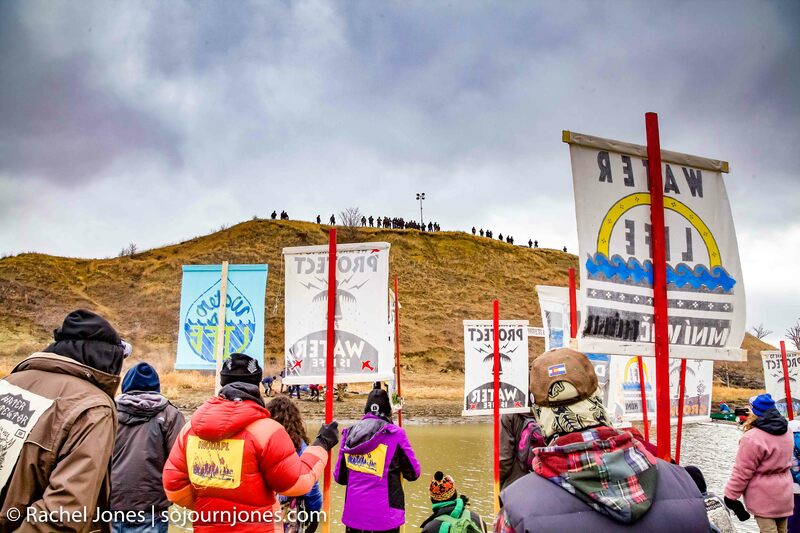 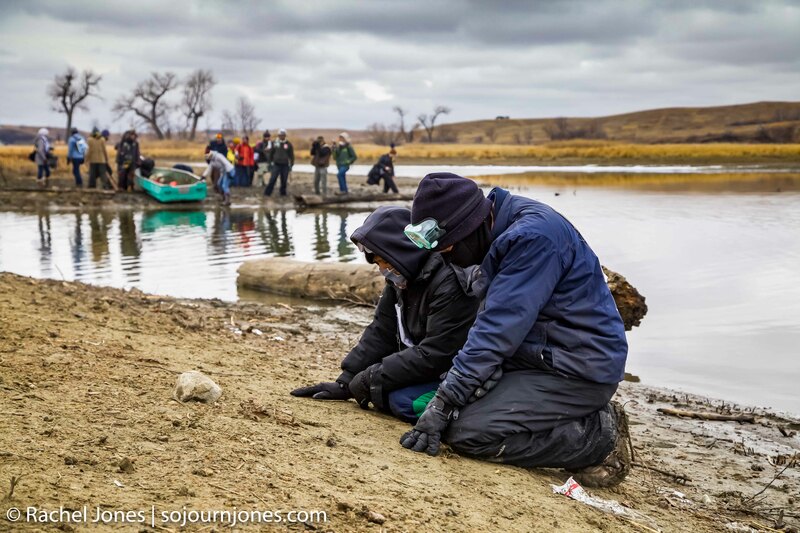 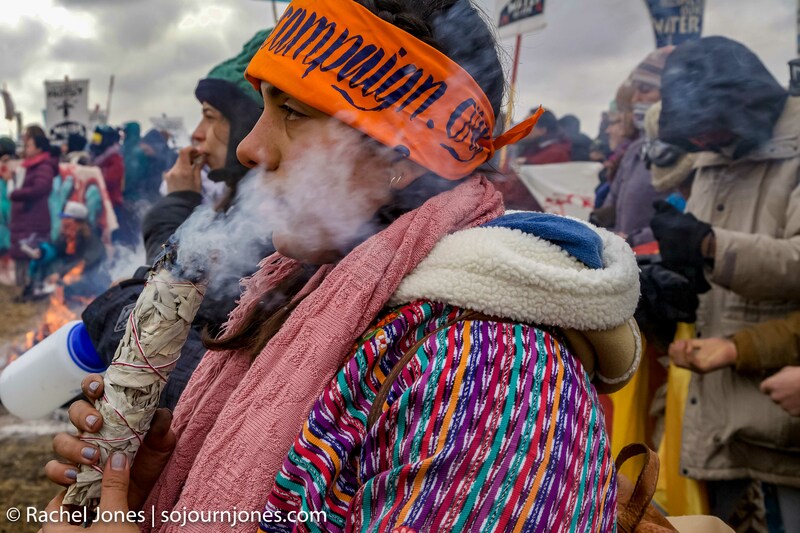 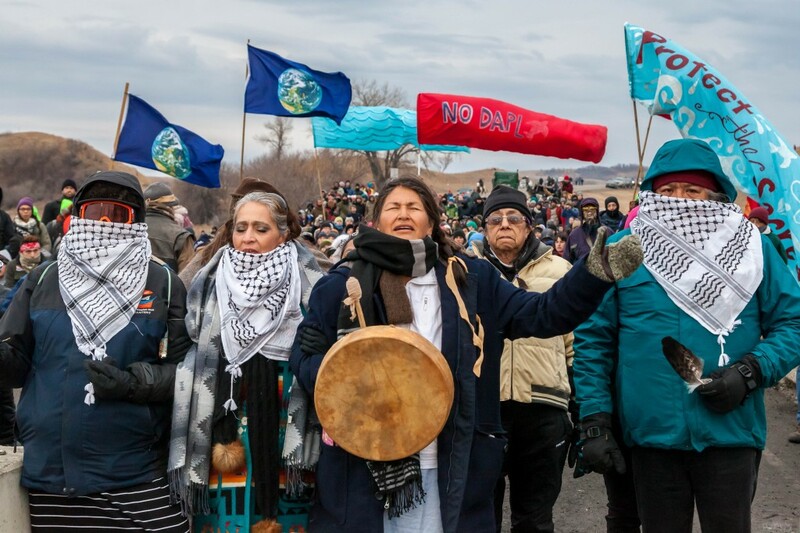 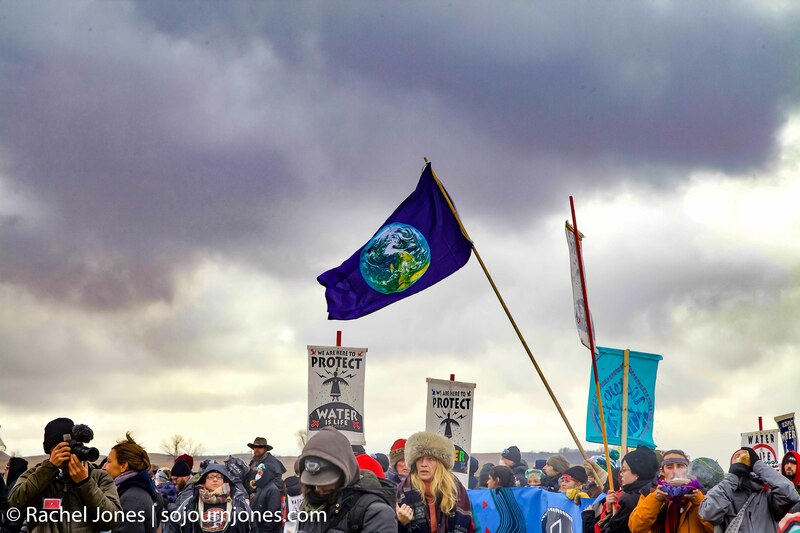 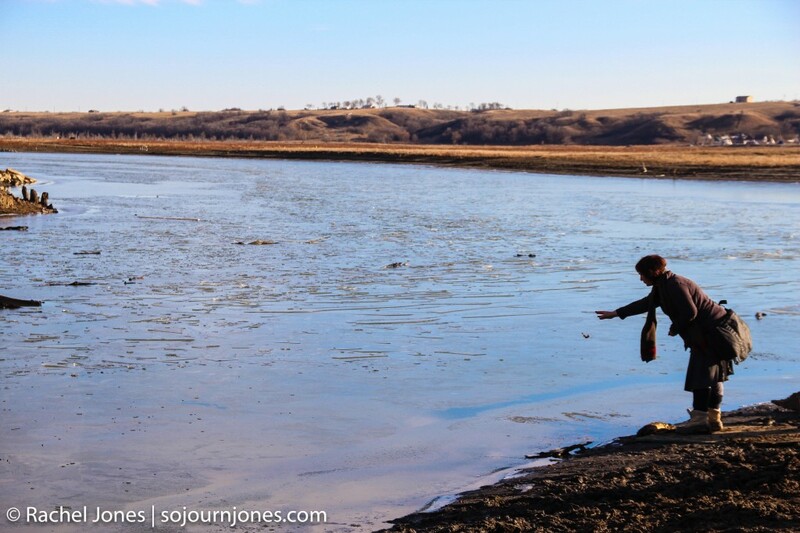 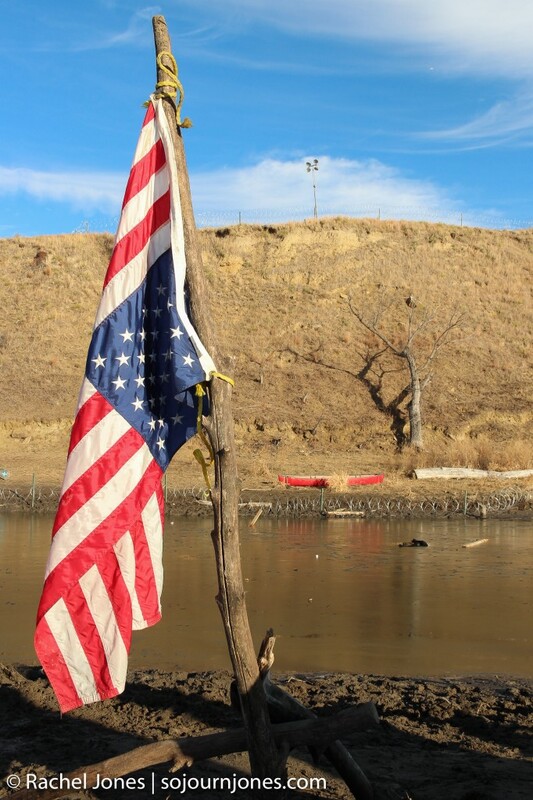 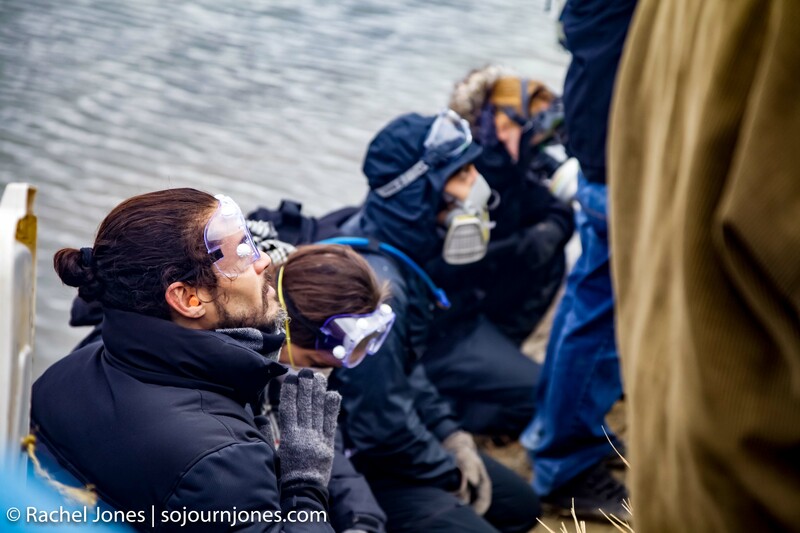 While many Americans prepared their Thanksgiving dinner, on Thursday, November 24, 2016, water protectors from all over the country and world marched to Cannonball River, where they held prayer, built a bridge, and crossed the river to Turtle Island. 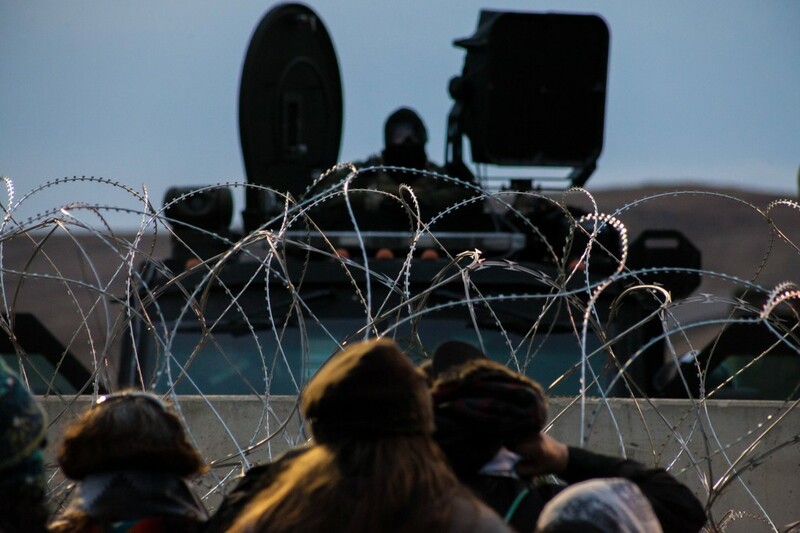 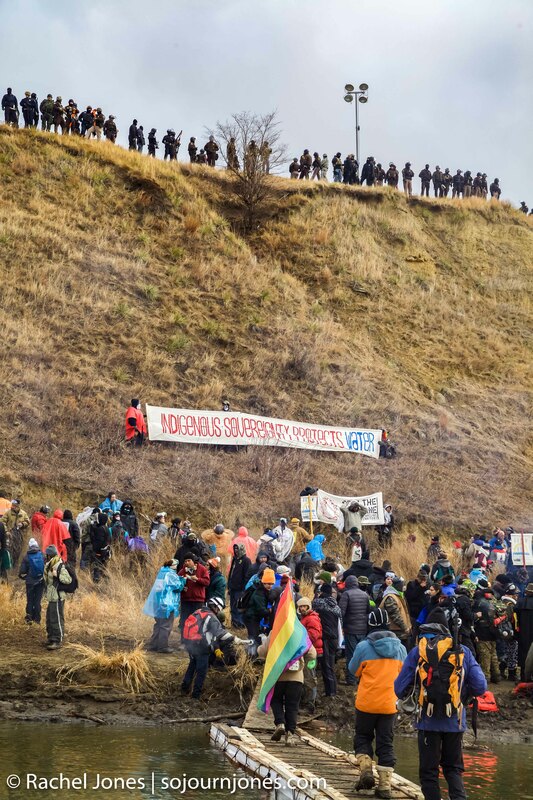 Water protectors sang at the base of sacred burial site Turtle Island, while armed police stood atop it. Prayer was held in peace. 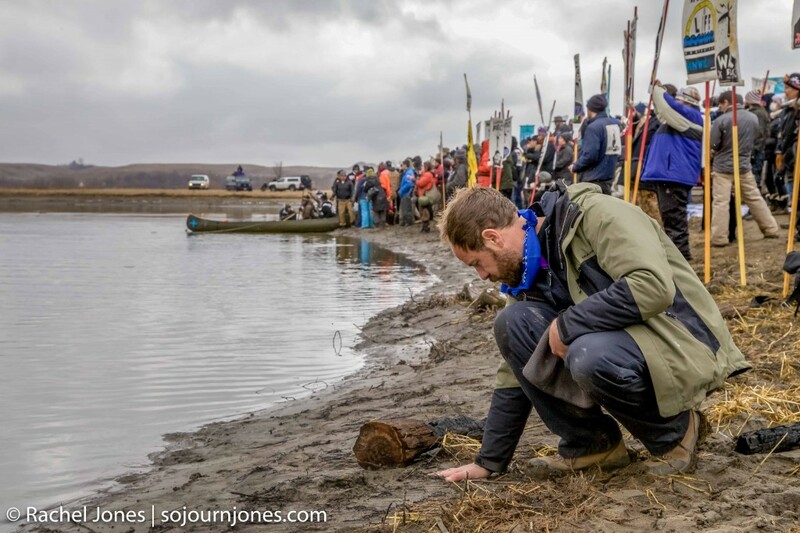 Greg Sealion Cotten, 42, prays on the edge of Cannonball River on November 24, 2016. 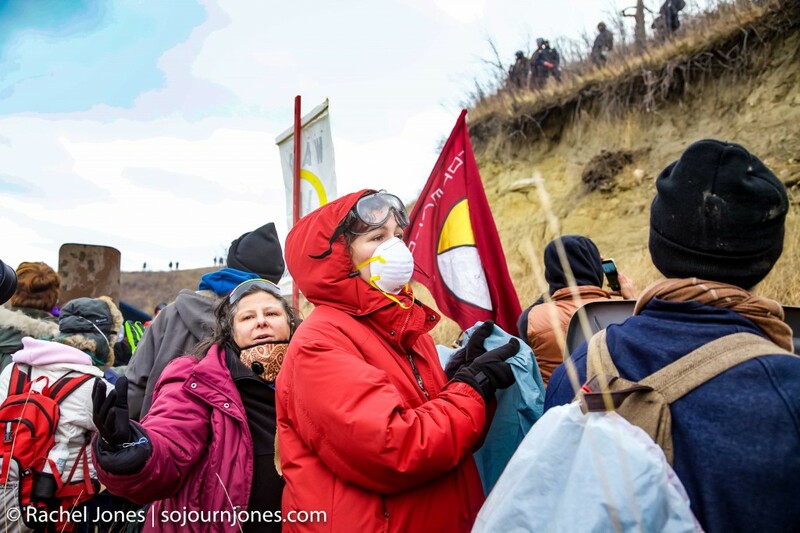 Phanie, 26, stands in prayer with sage facing Turtle Island from across Cannonball River on November 24, 2016. 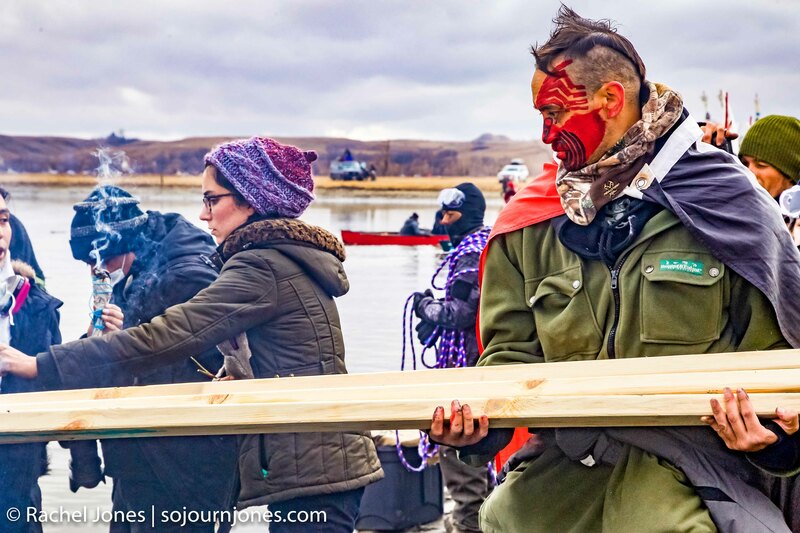 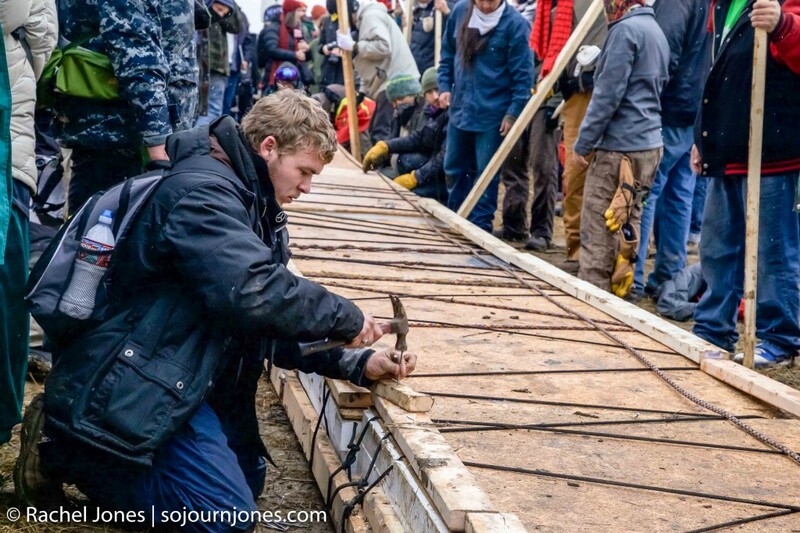 Water protector brings wood for bridge to Turtle Island on November 24, 2016. 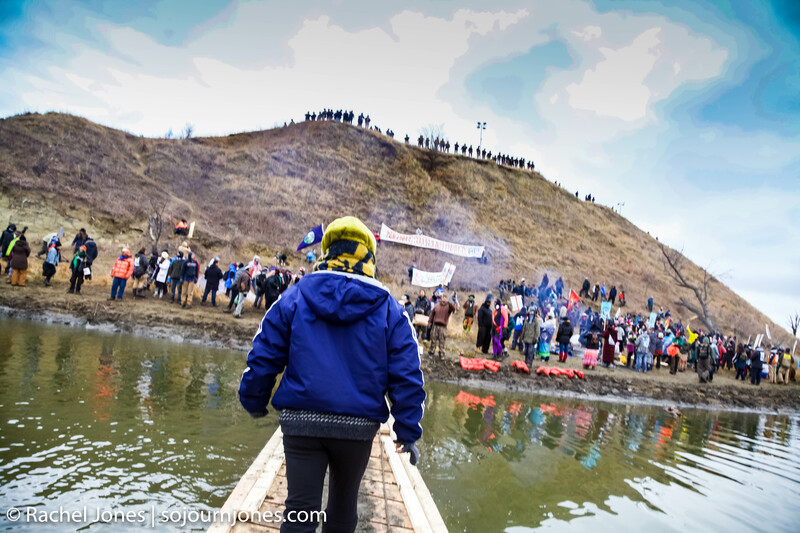 Water protectors build bridge to cross Cannonball River to Turtle Island on November 24, 2016. 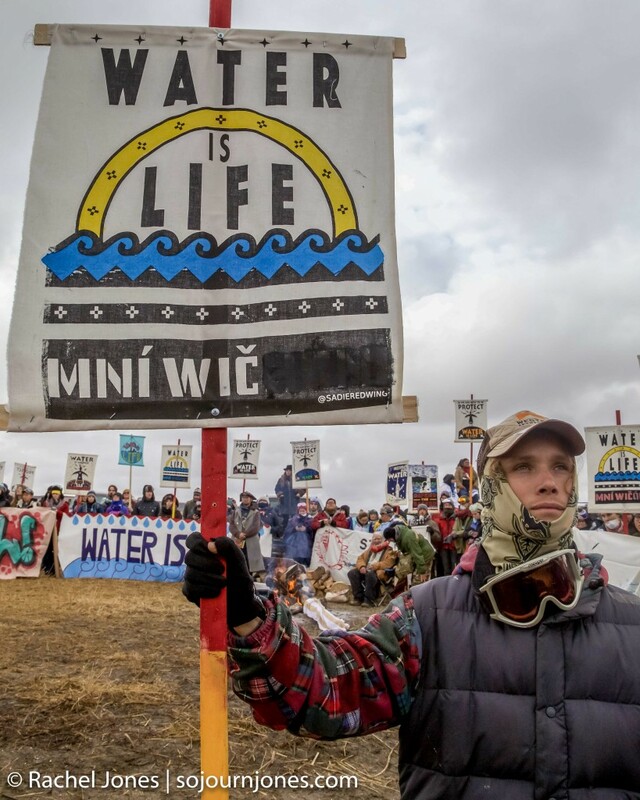 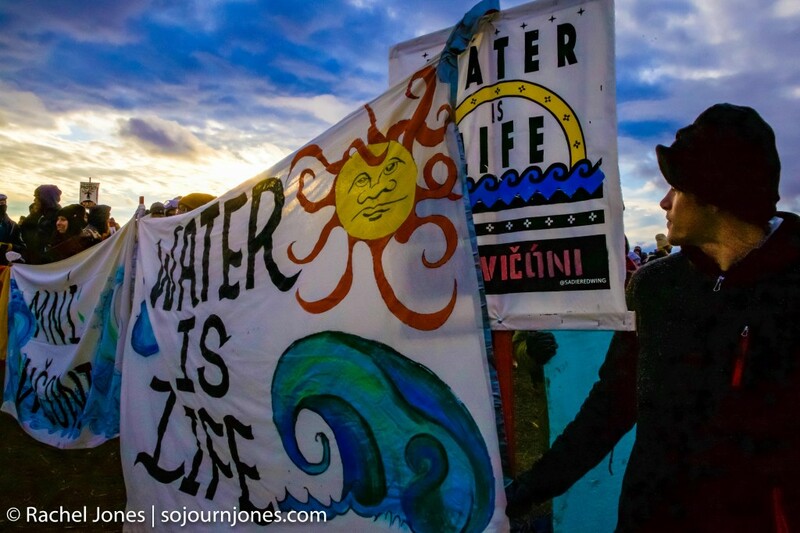 Water protector holds sign saying “Water is Life,” facing Turtle Island, on November 24, 2016.